The waters of Lake Magic in Western Australia are among the most geochemically extreme on Earth. This ephemeral saline lake is characterized by pH as low as 1.6 salinity as high as 32% total dissolved solids, and unusually complex geochemistry, including extremely high concentrations of aluminum, silica, and iron. We examined the microbial composition and putative function in this extreme acid brine environment by analyzing lake water, groundwater, and sediment samples collected during the austral summer near peak evapoconcentration. Our results reveal that the lake water metagenome, surprisingly, was comprised of mostly eukaryote sequences, particularly fungi and to a lesser extent, green algae. Groundwater and sediment samples were dominated by acidophilic Firmicutes, with eukaryotic community members only detected at low abundances. The lake water bacterial community was less diverse than that in groundwater and sediment, and was overwhelmingly represented by a single OTU affiliated with Salinisphaera. Pathways associated with halotolerance were found in the metagenomes, as were genes associated with biosynthesis of protective carotenoids. 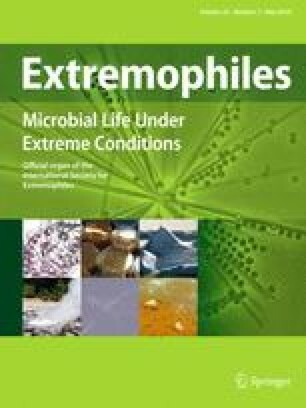 During periods of complete desiccation of the lake, we hypothesize that dormancy and entrapment in fluid inclusions in halite crystals may increase long-term survival, leading to the resilience of complex eukaryotes in this extreme environment. The online version of this article ( https://doi.org/10.1007/s00792-018-1000-4) contains supplementary material, which is available to authorized users. We thank Yi Cui (Missouri S&T) for assistance with DNA extraction. This work was supported by an Experimental Program to Stimulate Competitive Research at the National Aeronautics and Space Administration, Missouri Research Infrastructure Development award (M.M. ), a Georgetown University Main Campus Research Fellowship (S.S.J. and E.Z. ), and West Virginia University (K.B. ).